loser to home there is a Massachusetts garden, endorsed by Governor Patrick himself, although why it is a Massachusetts garden is not obvious to me. According to the designer’s brochure, the garden’s inspiration comes from “aspects of the life and work of Massachusetts poet Emily Dickenson who was a very keen gardener and botanist.” Indeed. This garden has the usual perennials one might find in a Massachusetts garden and something more – walls made of leather applique. Yes, garden walls made of leather appliqué. 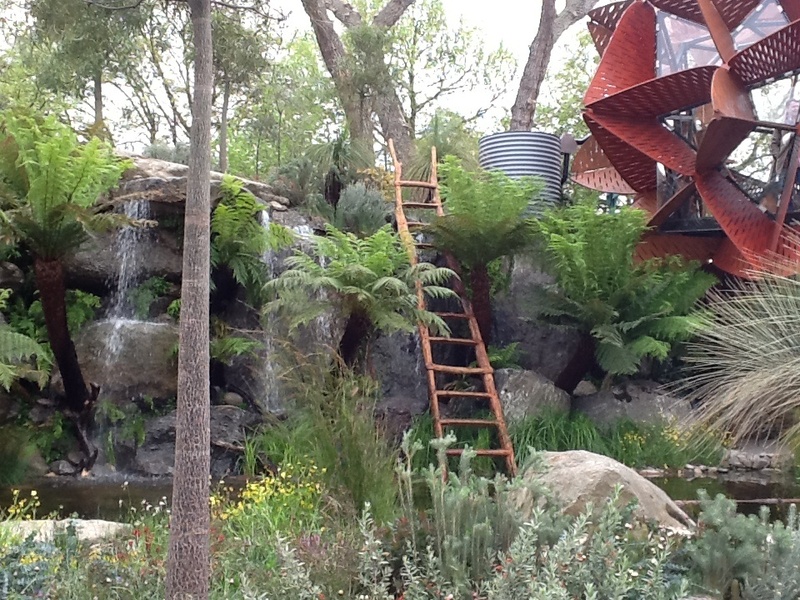 One sees the most unusual garden elements at Chelsea. 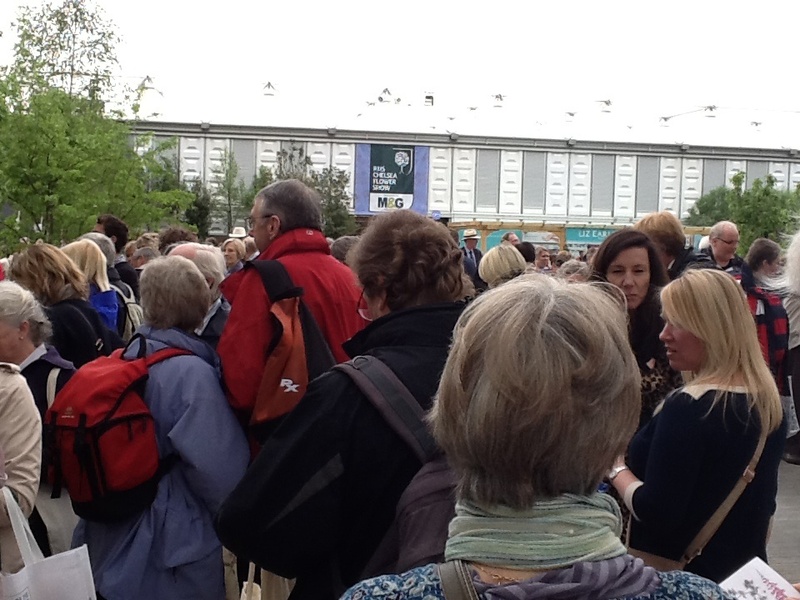 Garden journalists the world over are covering Chelsea this year as every year. 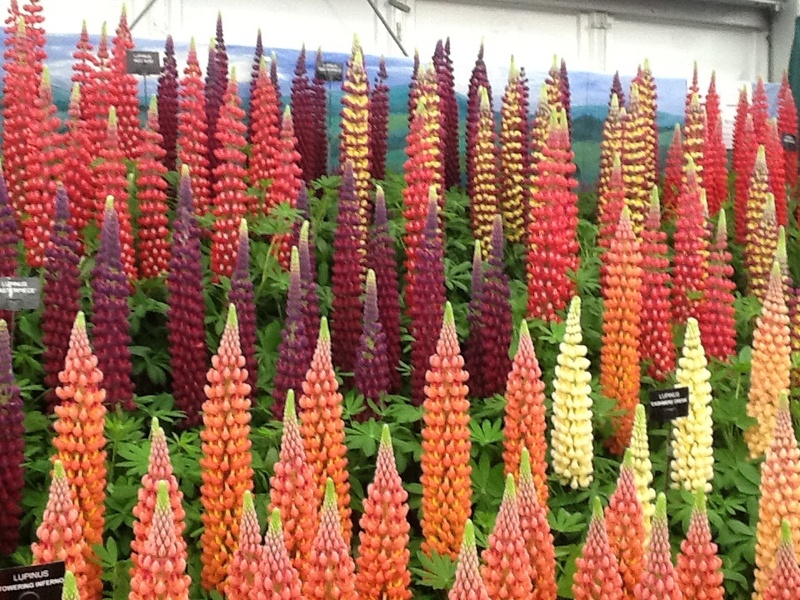 To read more about what’s on offer have a look at the website hrs.irg.uk/Chelsea or pick up a gardening magazine. 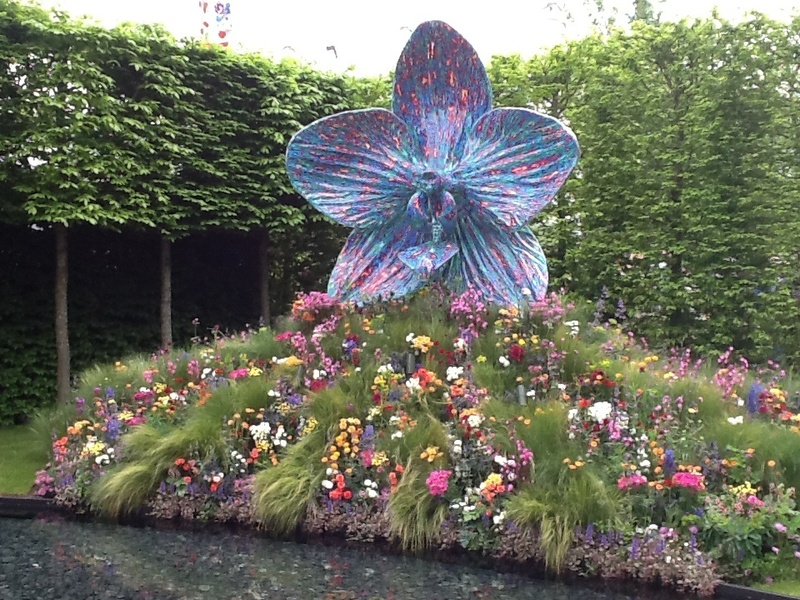 In the meantime, enjoy some photos from my two days at Chelsea. Love seeing the photos and getting a glimpse of the whole show. I’ve always wanted to go; great to visit vicariously through you! Vicarious is good, virtual is good, actual is optimal! Amy, Love the pictures and your info. 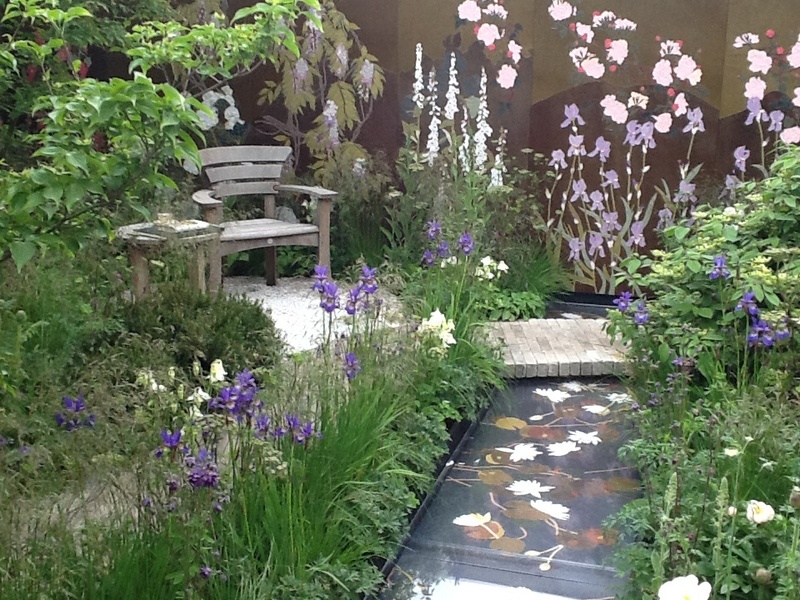 Only problem, now I’m going to spend way to much time trolling Chelsea Flower Show sites and blogs. Thanks for the post. Thanks for your comment. Have fun trolling! 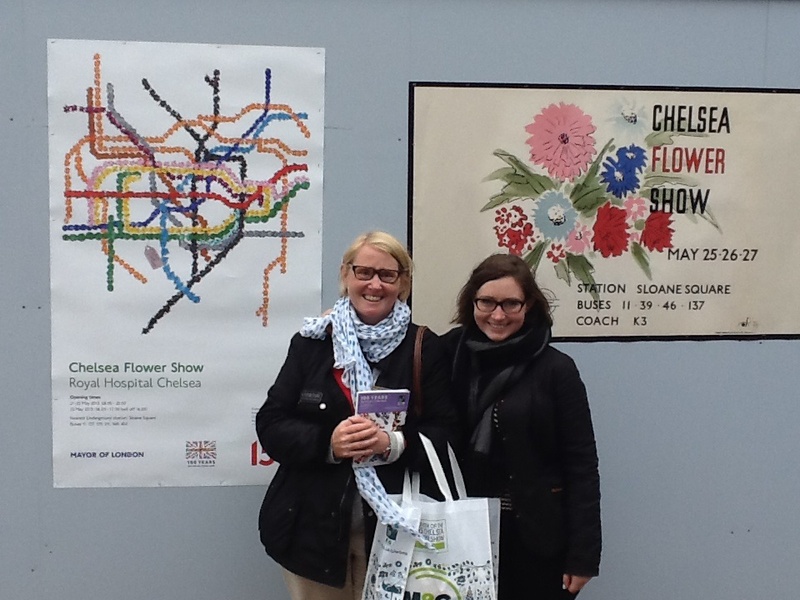 I went to Chelsea last year. It was broiling hot. Judging by your coats, this year it is chilly. Br-r-r. Warm or cold, a visit to Chelsea in its anniversary year is a treat. Yes, it was chilly. The UK is having a spate of cold weather. Nevertheless, having previously been to CFS always in hot weather, I have to admit it was more endurable in chilly weather, if not as bright. And the Pimms wasn’t as essential this year.